for $349,999 with 3 bedrooms and 2 full baths. This 1,896 square foot home was built in 2011. Have you been looking for the perfect unrestricted property that is already cleared and move in ready? Look No further. This 5 acre property has everything your looking for. 13600 Lyric Road was built in 2011 by Precision Homes. Home was built 8 feet above the 1994 flood line. Harvey didn't touch this home! home is on a well and is 350 feet down with a pressure of between 40-60. Having a garden is no issue, includes a 6x4.8 pantry, all the room you would need for canning your own goods! 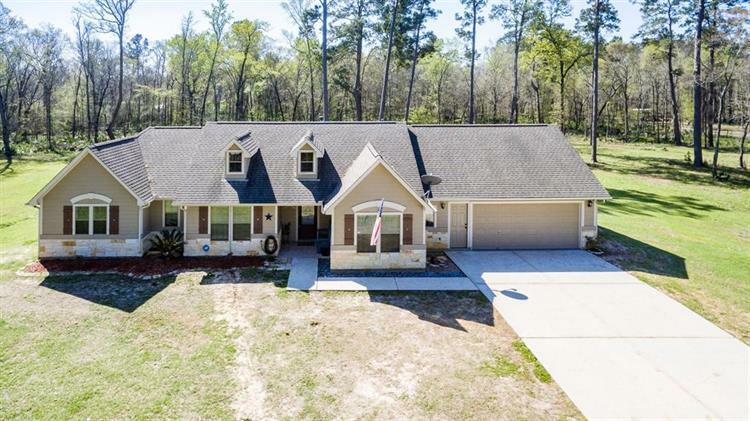 Granite counter tops throughout, hardwood and tile flooring, vaulted ceilings, and a hardwired video surveillance system makes this home one you won't want to miss! 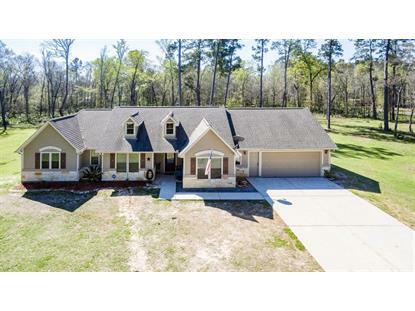 Location Location Location 25 minutes from Lake Woodlands Parkway and 4.9 miles from 99, country living with easy access to the city! Call today to schedule a showing!